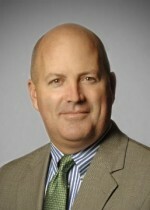 Chicago-based McGladrey LLP (FY13 net revenue of $1.4 billion) has admitted Gregory Cowhey as a partner. Cowhey, who will be based in Philadelphia, will guide the firm’s investigations and dispute practice for the Philadelphia-New Jersey market. His duties will include developing business, managing client relationships and developing employees. 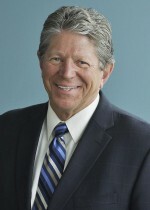 Cowhey has significant experience managing engagements providing various consulting services including: intangible asset appraisal; financial accounting impairment and other analysis; economic damage assessment; forensic and investigative accounting and litigation support services for individuals, closely held companies, medium to large public and private corporations, government agencies, banks, attorneys and accounting firms. Chicago-based Grant Thornton LLP (FY12 net revenue of $1.2 billion) named Peter Resnick MP of its New England practice, which includes the firm’s offices in Boston, Westborough, Mass. and Glastonbury, Conn., effective Aug. 1. 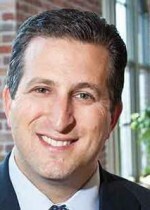 Resnick currently serves as a member of the New England leadership team and the forensics and litigation services practice leader for the firm’s Boston office, a role in which he will continue. As MP of the New England region, he will succeed Joel Anik, who will serve in an advisory role for the New England practice through Dec. 31. New York-based KPMG LLP (FY12 net revenue of $5.8 billion) named Conor Moore as national co-leader of the firm’s venture capital practice. In his new role, Moore will be responsible for setting the practice’s strategic priorities and growth agenda. He will drive strategy and client services, broaden KPMG relationships with venture capital firms, venture-backed companies and start-ups, and serve as the lead partner on several large client engagements. Moore is based in San Francisco and succeeds Packy Kelly, who has been appointed as the leader of KPMG’s global semiconductor practice. “Conor is a recognized leader in the venture capital community, and we are confident that his deep industry knowledge and strong client relationships will continue to grow our practice,” says Brian Hughes, national co-leader of KPMG’s venture capital practice. Scott Bemis will join Denver-based EKS&H (FY12 net revenue of $63.4 million) as director of business and community partnerships, effective May 5. In his new role, Bemis will work on developing relationships for EKS&H in the business community, as well as in the community at large, says Bob Hottman, CEO of EKS&H. Bemis will represent EKS&H on boards in the community, which is a role he often took on as the DBJ’s leader, as well as work with current and prospective clients of the firm. He will also serve on EKS&H’s marketing committee.